It’s hard to argue against the necessity for supplier diversity in the corporate sect. Though the necessity appears obvious, the barriers for minority suppliers exists on a vast scale. Enter, the National Minority Supplier Development Council (NMSDC). TheÂ National Minority Supplier Development Council works relentlessly to advance business opportunities for certified minority business enterprises by connecting them to corporate members. 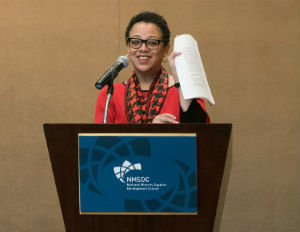 BlackEnterprise.com spoke with National Minority Supplier Development Council President, Joset Wright-Lacy, to learn more about the work the council doesÂ and how this work is impacting minority business on the corporate landscape. BlackEnterprise.com: Tell us a little about the National Minority Supplier Development Council and the work you’re doing to help minority suppliers? Wright-Lacy: For almost 45 years, NMSDC has provided a link between corporate America and certified minority business enterprises (MBEs). Our commitment to the inclusion of MBEs in corporate business opportunity continues to be strong. As we look at the contributions of our certified MBEs to the economy, we are even more ‘bullish’ on the role minority business plays in the overall economy. Our focus is on MBEs who meet the needs of our corporate members. Our corporate members, many of whom are in the Fortune 500, understand the importance and value of MBEs. What seems to be the apprehension on companies utilizing minority suppliers? Corporations that are not familiar with minority businesses often have a number of misunderstandings about the value MBEs provide. Unfortunately, many companies think that using MBEs is an affirmative action program and that MBEs do not offer value. Specifically, MBEs offer innovations and cost-efficiencies that drive value for corporate members. Why does theÂ National Minority Supplier Development Council have to exist? Sadly, NMSDC has to exist because of inherent and even blatant prejudice against people of color. We find that once members are exposed to our MBEs they begin to understand that talent is not limited by the color of the minority business owner’s skin. So, NMSDC has the challenge and opportunity to inform people about what MBEs contribute to business. These individuals often become advocates for minority business. National Minority Supplier Development CouncilÂ also serves an important role as advocate for minority business. It is important that policymakers and public officials have access to information about the role MBEs play in their local communities and in the larger U.S. economy. For instance, minority businesses are an engine for job growth. They contributed more new jobs to the economy than their non-minority counterparts. They are also growing at three times the rate of other businesses. 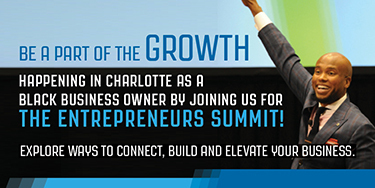 As we experience the demographic shift in our population, the success of minority businesses will be more important. In order to leverage the capabilities and talents of MBEs, it is critical that we address some of the persistent challenges to their growth and development: access to capital, access to markets, and access to business networks. These are all issues that we deal with on a regular basis.